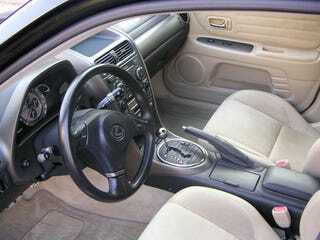 Found a photo of that “bronze trim” ‘01 dash with a full tan interior. Oh nooooo I think I need it... Looks good. I think these would stick out like a sore thumb with my pearl metallic paint. Would look good on the sort of titanium paint or black for sure. I also haven’t decided if I want to do the red vinyl on my tail lights. It looks good, but do I care enough to do it? Probably. So this is my life. I either have a project car that demands I throw money at it, or an actually decent car that suggests I throw money at it. Will I ever be satisfied with anything? For those who have met me: the answer remains: NO.